This post might make more sense if you imagine I have a sweet southern drawl instead of a Yankee thing going on in my nasal passages, because I'm about to flour some meat and get all gravy up in here and it's going to be delicious. This here's a cube steak. I bought it because Sam's was all out of dodecahedron steak, which is my preferred cut if I can get it. Ok, actually I bought it because it was "something different" and I didn't have a dinner plan. Don't be like me, sugar plums. Meal plan! This is seriously the easiest thing ever. You buy it as part of a shopping trip carefully constructed around your premeditated meal plan. You come home and look up "Cube Steak" on Wikipedia so you know what exactly it is that you're cooking. That done satisfactorily, you take some flour and season it. You slap your meat around in that. You brown that meat and cover it with broth and onions. And then you wait, take a turn about the yard and a rock on the front porch, and then eat it with good stuff. Like roasted carrots, whole wheat couscous and cauliflower. There's no weird "cream of" canned soups and basically no way to mess it up. It got the thumbs up from my hungry crew, including the baby who is eating everything in his path these days with great zeal (including carpet lint, grass, and the occasional unfortunate insect...it keeps me busy). Stir together flour, salt, pepper, and garlic powder in a shallow bowl. Dredge cube steak in flour mixture. 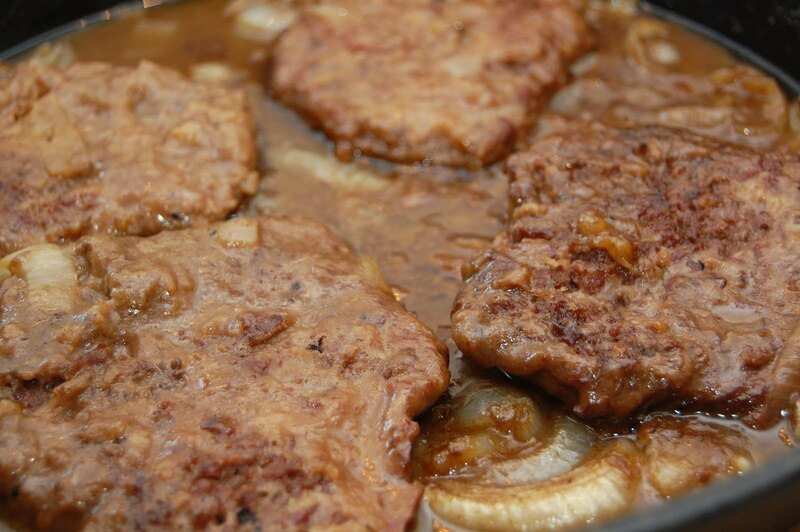 Heat oil in a large skillet and brown steak pieces on both sides, adding more oil if necessary. Cover meat with broth and sprinkle with onions. Cover the pan and simmer 2 hours until meat is tender and broth has reduced and thickened into a gravy, and serve with veggies and rice, couscous, or mashed potatoes. 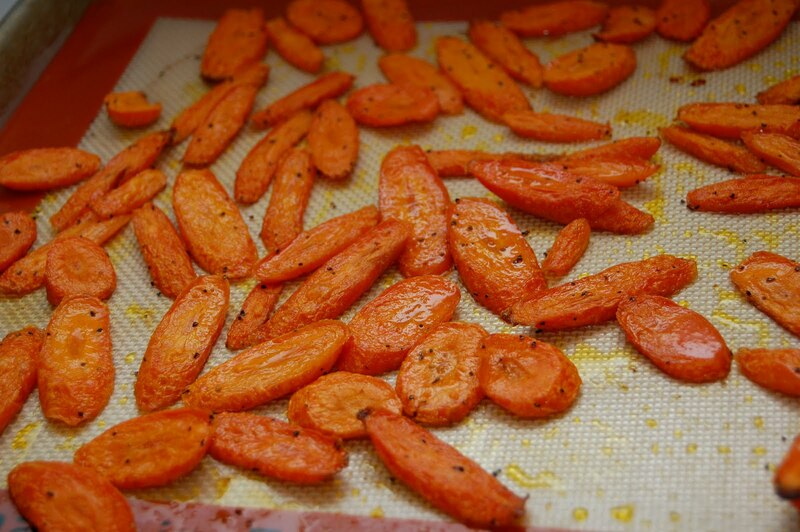 This is our favorite way to prepare carrots. It allows their natural sweetness to shine through and is quick to put together, making it an excellent accompaniment for a wide variety of dishes. We gathered dozens upon dozens of carrots from the garden last year, and most of them ended up this way or shredded onto salads. Toss carrots with about 3 T. EV olive oil and salt and pepper to taste (try about 1/2 tsp. salt and 1/4 tsp. pepper). Spread on a baking sheet and roast at 400 degrees F for 25 minutes. Thanks for sharing! This looks super yummy! I am stopping by from the Strut Your Stuff Link Party. I am your newest follower and cannot wait to read more:) I would love to have you stop by my blog when you have a chance! Your meal looks delicious. 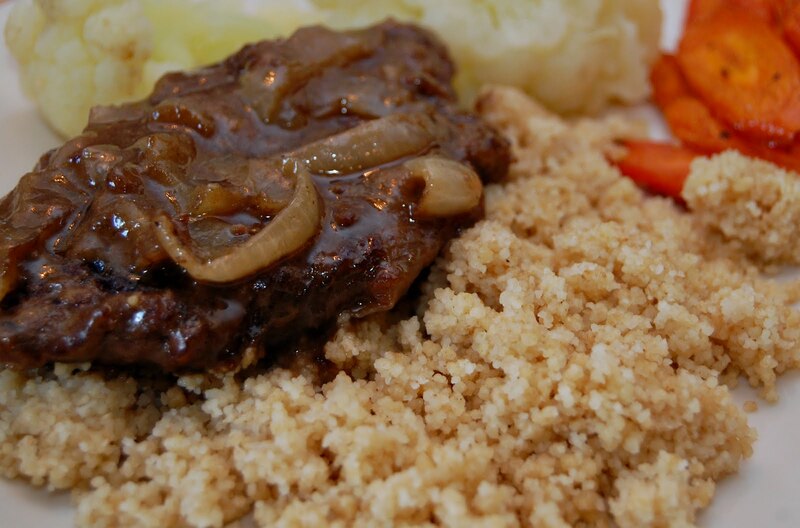 We just love cube steak and your recipe looks very good. Thanks for sharing with Full Plate Thursday and come back soon!